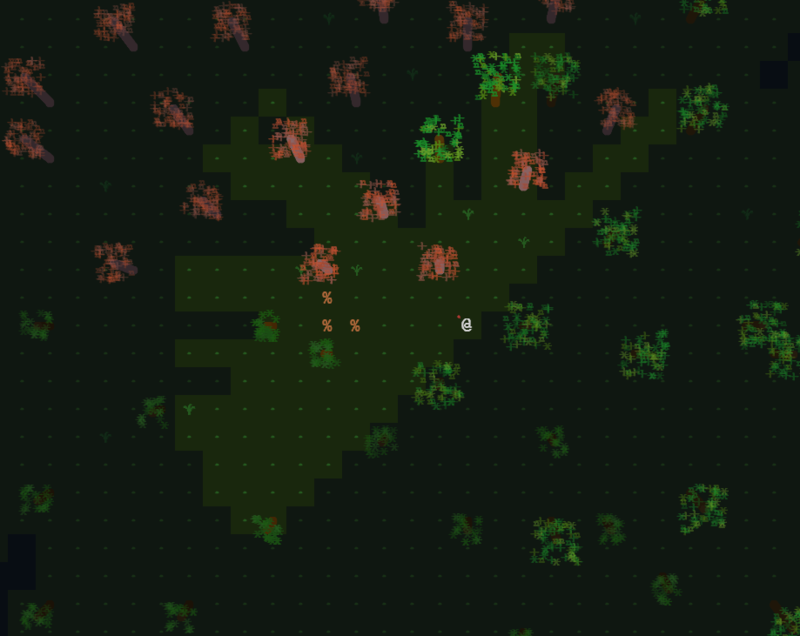 An open world fantasy roguelike where you play a forgotten god trying to regain his lost power by consuming mortal souls. You were once the god-king of the Dreamworld, but you were dethroned by a new pantheon of gods. Mortals have forgotten about you. Your powers diminished and eventually, you had to go into hiding. You spent centuries scheming your revenge. With an ancient artifact, you tore the veil between realms and invaded the mortal world, but at the cost of your physical body. No god has set foot here for eons, but you changed everything. Soon new gods will come and the world will burn. You have become the Harbinger of the End Times. Handcrafted open world with villages, caves, keeps, ruins, hideouts, temples or big cities ready for you to pillage and conquer. The world is truly open, if you wish to try your hand at killing a dragon at level 1, you can certainly try. Random description generator that adds a little soul to your enemies (for you to steal). 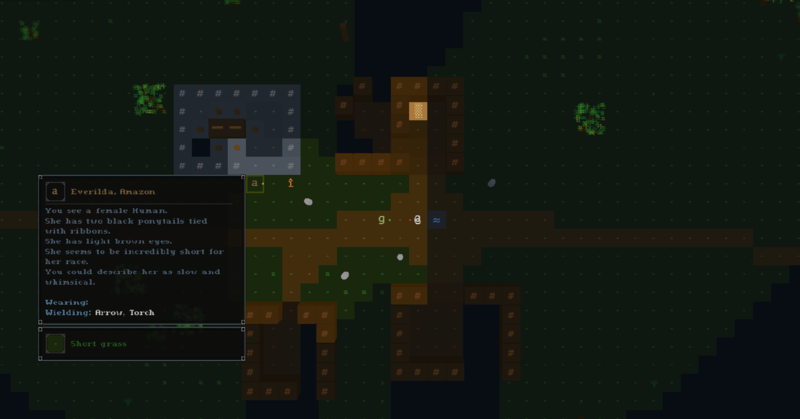 Loot system with randomized prefixes and suffixes that add extra properties. Every enemy can be created with better gear and all of them will drop what they use. Survival mechanics based on requirements of food and water or blood, stamina regained with resting and fatigue regained with sleep. Multiple races and professions to choose from. When leveling up, you can choose an ability from your profession or one of 2 random ones for other professions. This allows for more combinations when progressing with your character. Crafting mechanics with woodcutting, mining, salvaging, fishing, skinning, and butchering. Most items in the game are considered temporary, in the sense that they can lose durability and break. Durability cannot be regained, but broken items can still be salvaged for resources and used when creating new items. ASCII / Glyph graphics with 3D effects and animations. Modding support with json files for entities (enemies, items, map elements), maps, abilities, animations, and assets (including tileset support) allowing for the creation of new worlds. The game is developed by a single person part-time, so progress might not be quick, but it's consistent. The first public Alpha release is planned around June 2019. You can follow the current state of Soulash development at Twitter. This page was last modified on 25 March 2019, at 00:11.